I’m performing at the Dec. 2nd Lust Party. My debut as a recording artist happens Dec. 3rd. 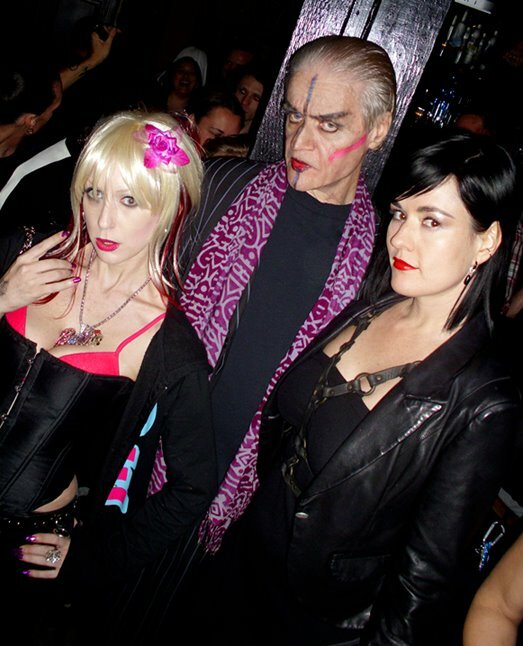 On Kim Fowley’s planet the noises that I make are music to his ears. So we have just concluded the initial recordings of my debut audio collection. Select songs will be featured live on “Married to the Music Show” on Moheak Radio (www.moheak.com) this Sat., Dec. 3 at 5 PM. Board our space ship to see if Kim’s just a biased space traveler blinded by my zombie charm. Kim Fowley & I will be doing part 2 of our Rock N’ Roll encounter this upcoming weekend on Kim’s Radio Program which can be heard on Little Stevens Underground Garage on Sirius XM 21: Saturday 9am-1pm PST/ Sunday midnight-3am PST. We really Rock. You won’t believe your ears.